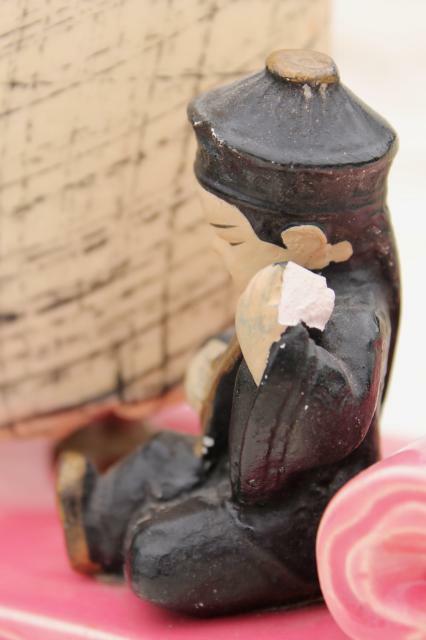 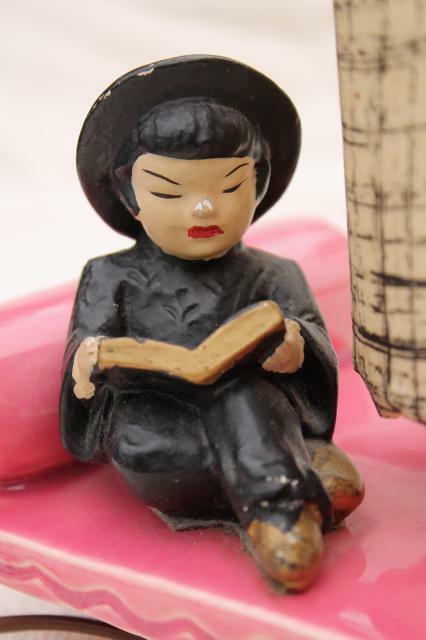 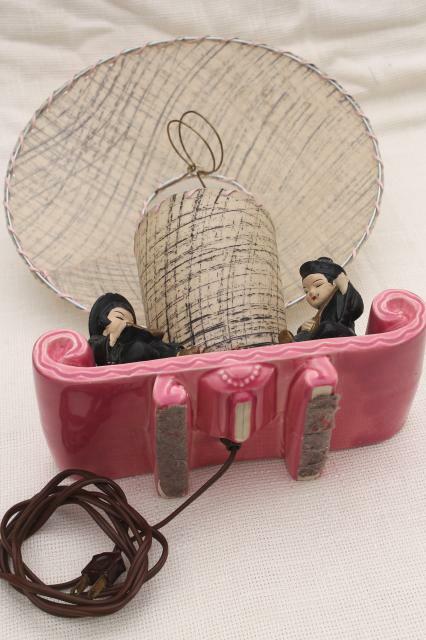 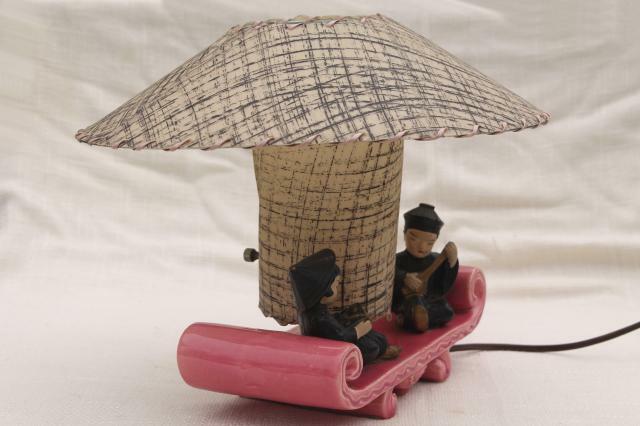 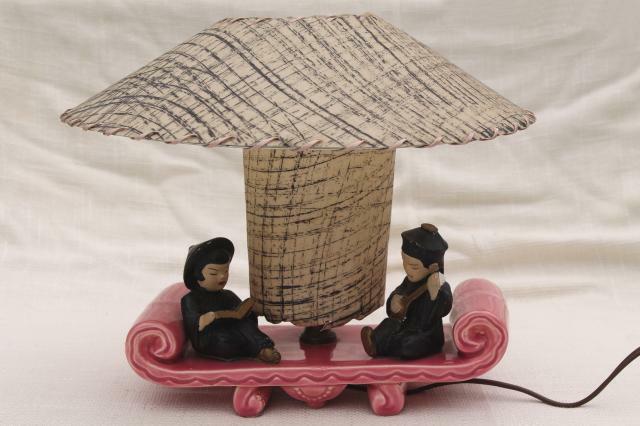 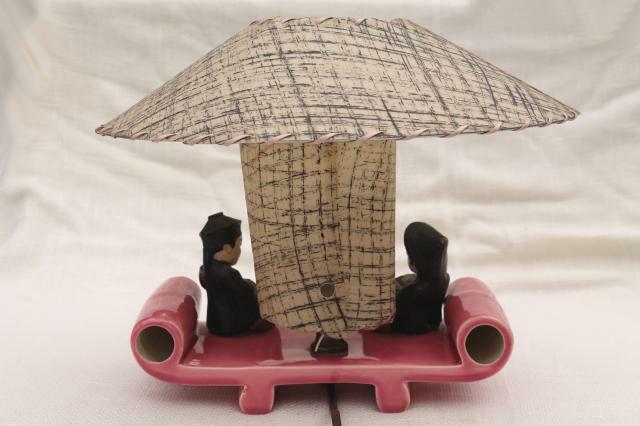 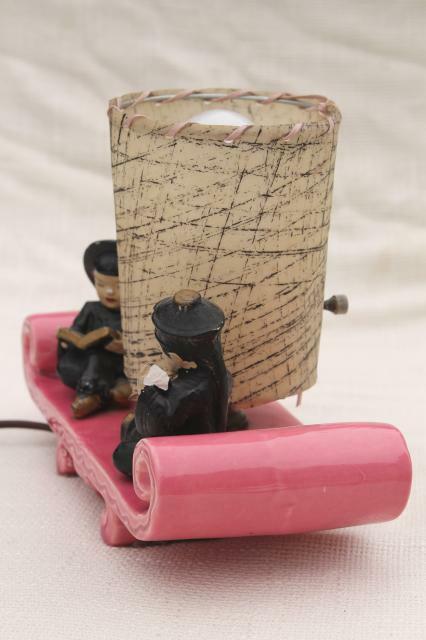 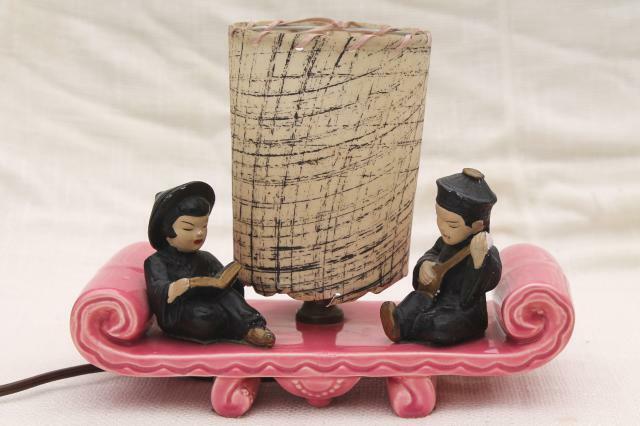 1950s vintage TV lamp with original parchment shade, so kitsch, with Chinese figurines on a pink ceramic base! 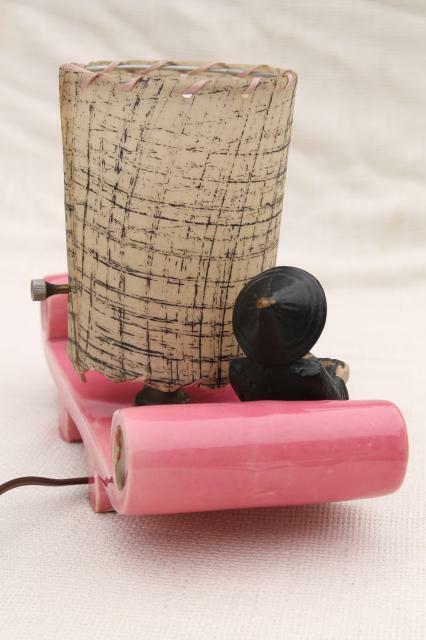 It works fine, and looks pretty good overall... it's a little dusty, and we did find a few small chips here and there. 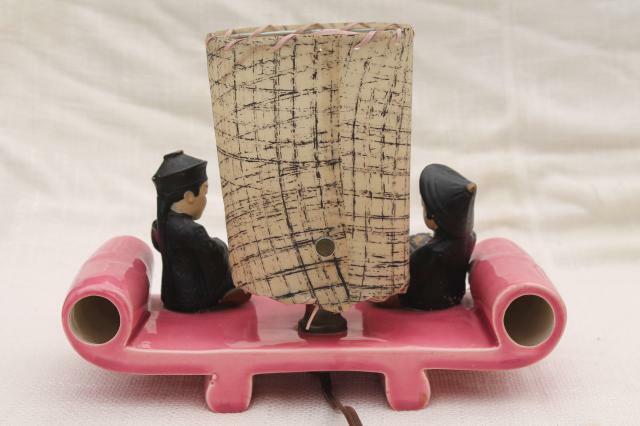 It's not marked, but looks like an old California studio pottery piece to us. 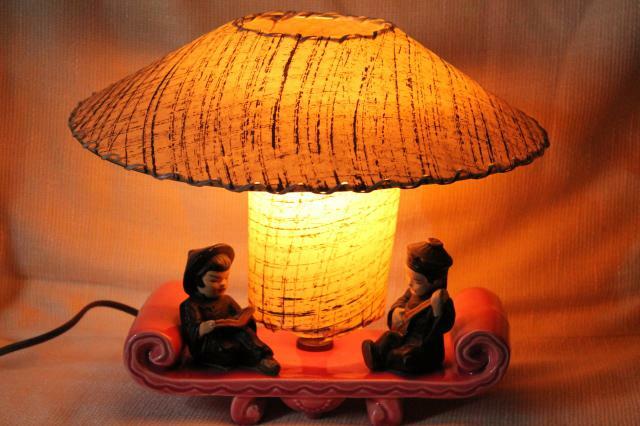 It's about 9 3/4" wide, 11 1/2" tall to the top of the shade. 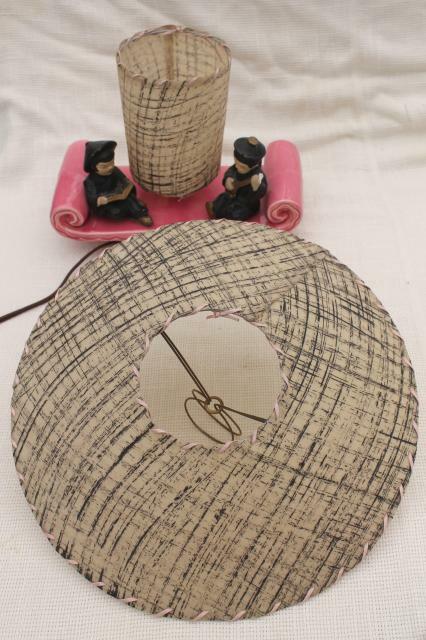 The shade is about 11 1/2" in diameter.